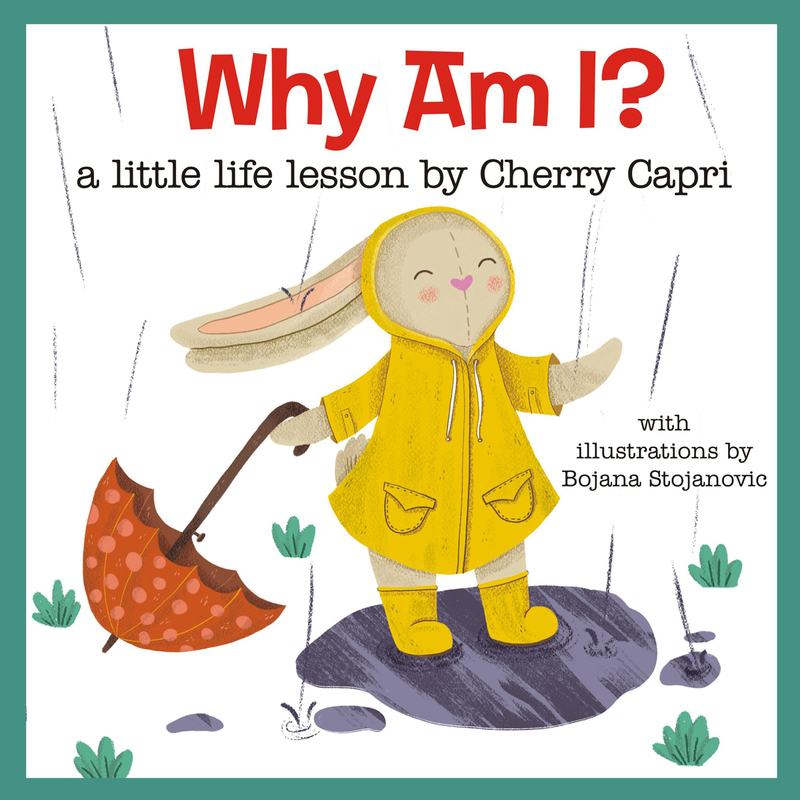 Two of the new books by marvelous maven Cherry Capri: Why Am I? (top) and Please Don't Eat My Friends, both aimed at the younger set. One could reasonably conclude that if you look up 'maven' in a dictionary, you'll see a picture of Cherry Capri. Hopefully, it's a color version of the dictionary. Capri is America's self-styled 'Queen of Modernism, Manners and Mirth' and the 'Dear Cherry' MCM-lifestyle advice columnist in the Eichler Network's CA-Modern magazine. Formerly residents of an Eichler in Granada Hills designed by A. Quincy Jones, she and her real-life husband now live in a 1954 home designed by Jones in downtown Las Vegas. "I just love A. Quincy Jones as an architect," she sighed. "We've always lived in historic homes since the get-go." Cherry's appearance is about as striking as a Jones design, and it's carefully cultivated with visits to vintage clothing stores and plenty of cherry-red hair color. "In the 2000s, you would go into the stores and easily find a pink flowered jumpsuit. Things weren't picked over yet then," she reflects with a hint of sorrow. With her kitschy attire and cartoonishly crimson 'do, Capri (not her real name) has a natural, upbeat allure for children. She noticed this over several years of public appearances and realized an outlet for some ideas she was having outside the realm of mid-century modernism. 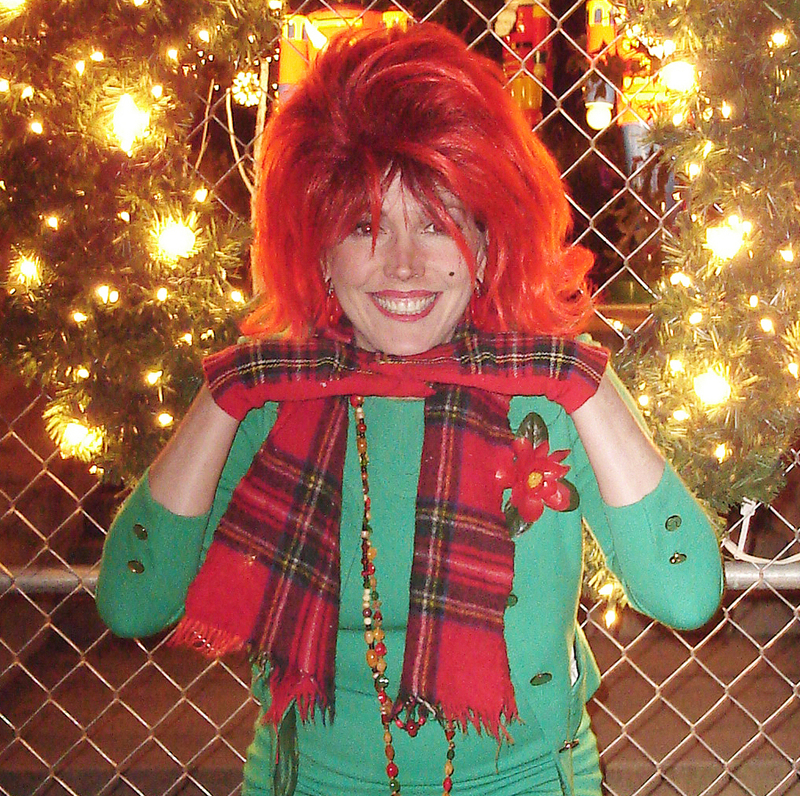 "They love my crazy hair, and I love to wear really fun, bright colors. Most adults are scared to wear fun, bright colors," she explained of her appeal to the younger set. Her look, she says, tells kids, "'Don't be afraid to dress crazy and wild,' and the kids really like that." 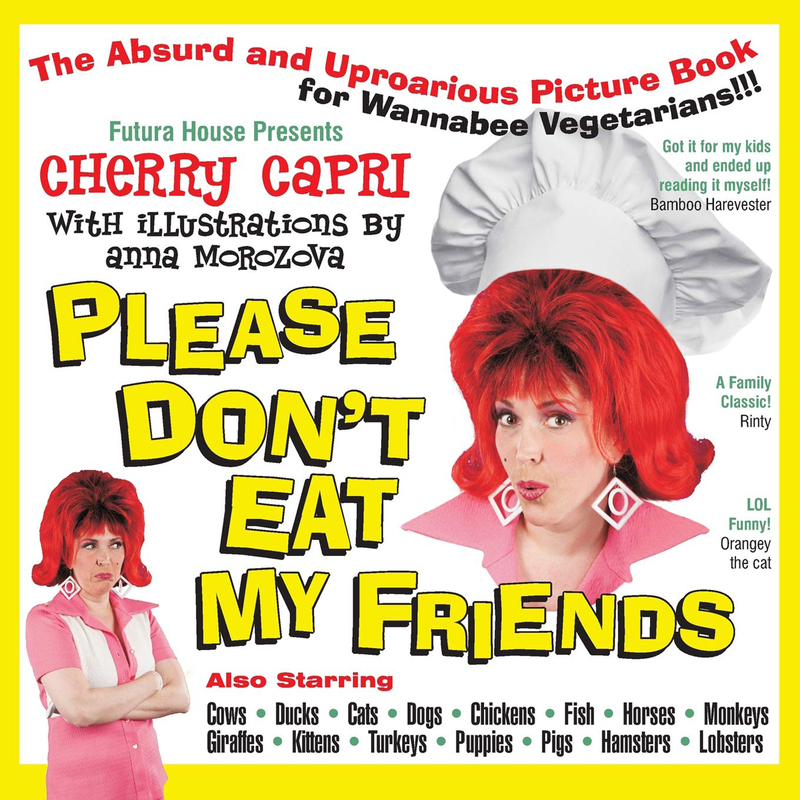 This appeal has now led the scarlet-haired maven to address young people in two of the three colorfully illustrated, 48-page paperbacks she recently released, in addition to a vividly titled volume more for adults about vegetarianism. "I feel passionate about eating healthy," Cherry declares of authoring Please Don't Eat My Friends, in some ways a follow-up to her first book, Eat Like Eve (2015). This latest outspoken tome asks such questions as "would you rather throw a puppy on the grill?" to make the point that all animals deserve love, not just pets. The author uses different illustrators for each book and hired pop surrealist Anna Moroza for this one. Capri wrote one of the two children's books years ago but was compelled to publish in 2018 by the state of affairs in the modern world.